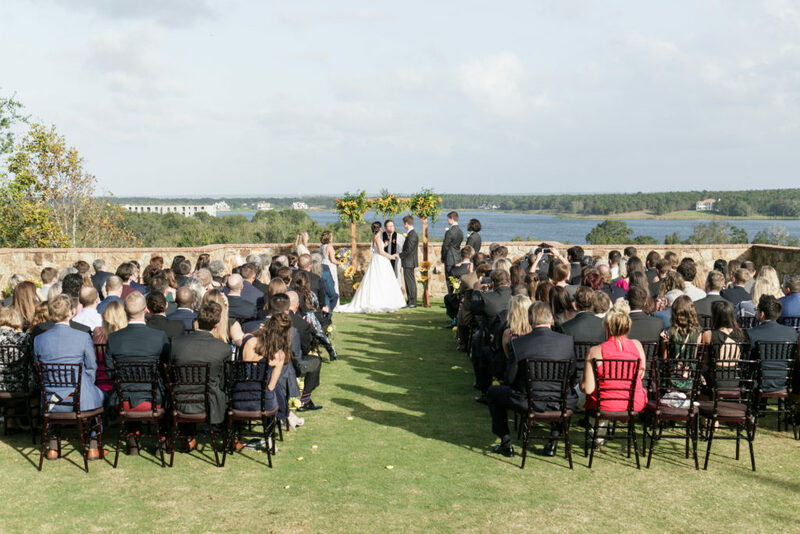 Weddings at the “Castle on the Hill”, or also known as Bella Collina, just seem to get more and more awesome as time rolls on! Our latest wedding on the blog at Bella, is one for the books! 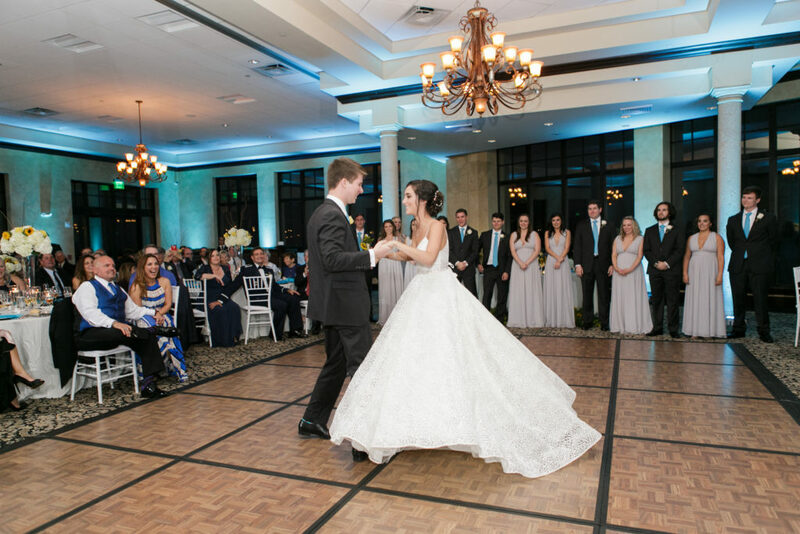 Nicole & Sam recently held their big event at the golf club and really wowed their guests with food, fun, and dancing all evening. Starting the day off with a breathtaking ceremony out on the event lawn… Nicole and Sam said their “I Do’s” and sealed the deal with a Kiss! 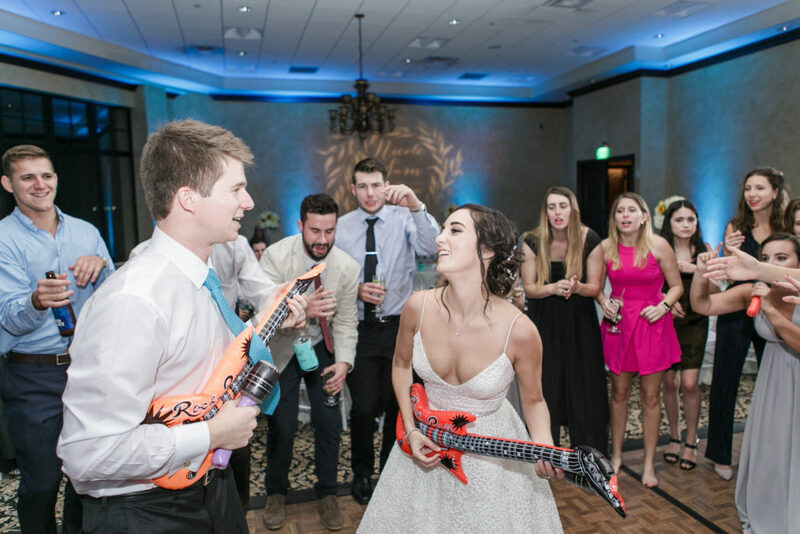 Honestly…….Nicole & Sam were surely excited to finally tie the knot… of course who wouldn’t! But, you could totally tell they were both looking forward to the party they had planned in the ballroom. 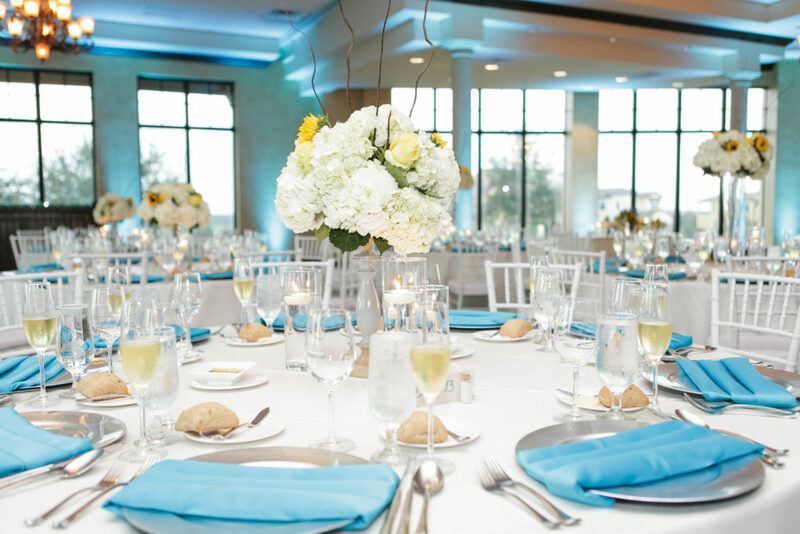 Dressed in a teal blue, the ballroom felt so ALIVE that night! 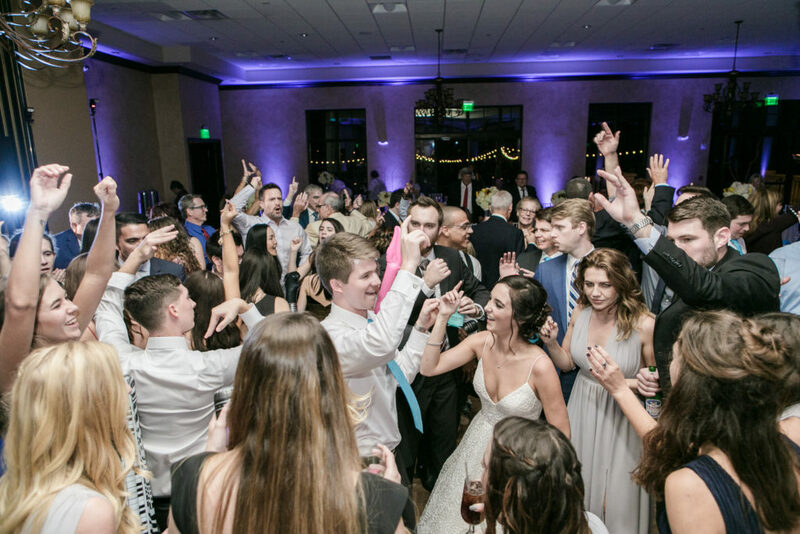 Positivity in the air… People craving a night full of festivities… Our team witnessed it, no one in the room could contain their excitement for the newlyweds. 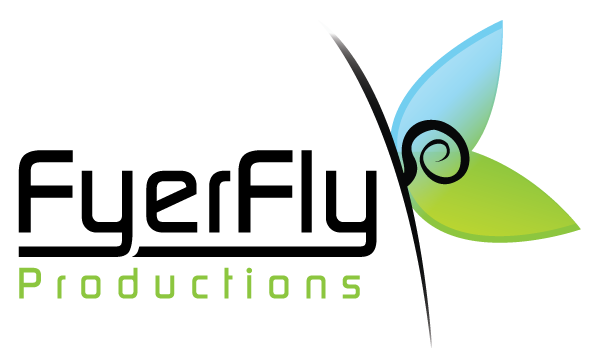 The guests were wined and dined by one of the finest culinary staff’s in the Orlando area and the drinks were flowing heavily! Dancing, laughing, story sharing… fun was had by all… And then. 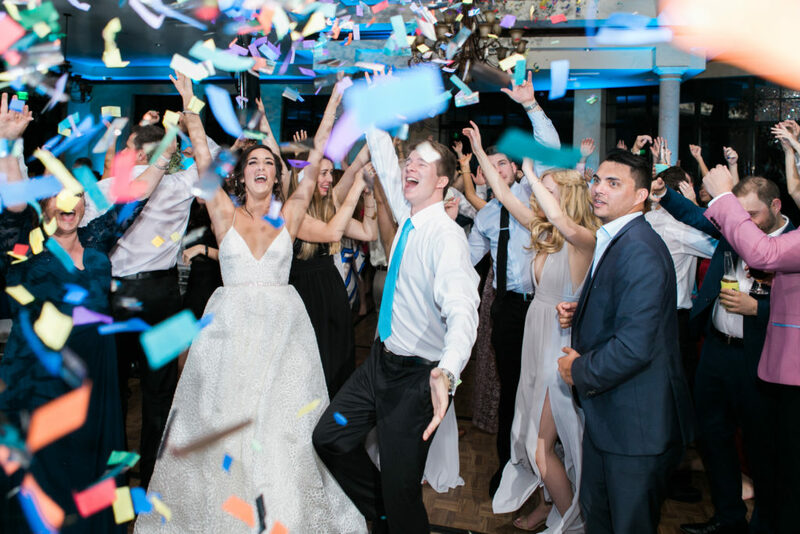 Our team did what do best… and we let the confetti fly! 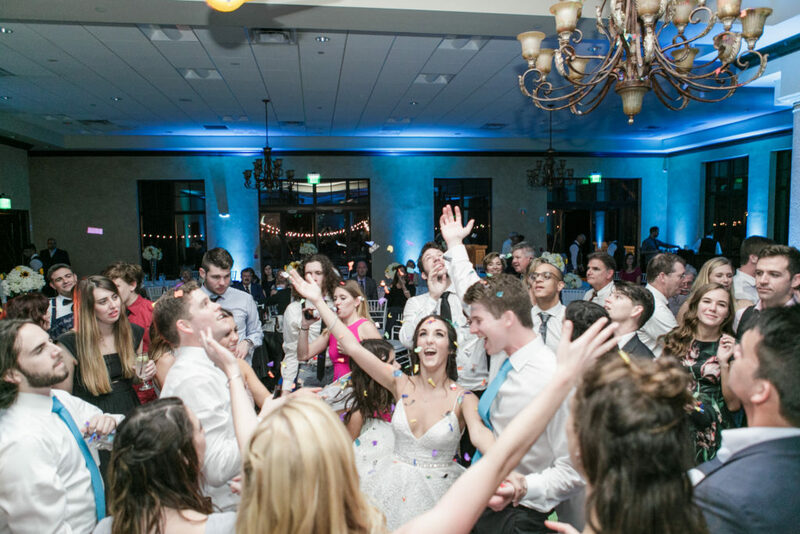 Blasting off over their heads and spiraling down all around them, the confetti was our highlight of the night for the newlyweds. Thank you again to Nicole & Sam! We were thrilled to be apart of your big day and wish you so many happy memories in the future! 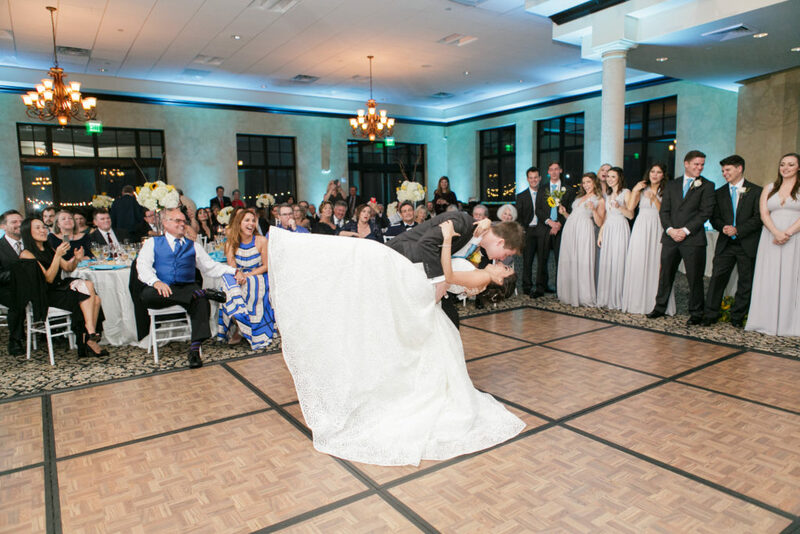 First dance LOVE and how about that dip! 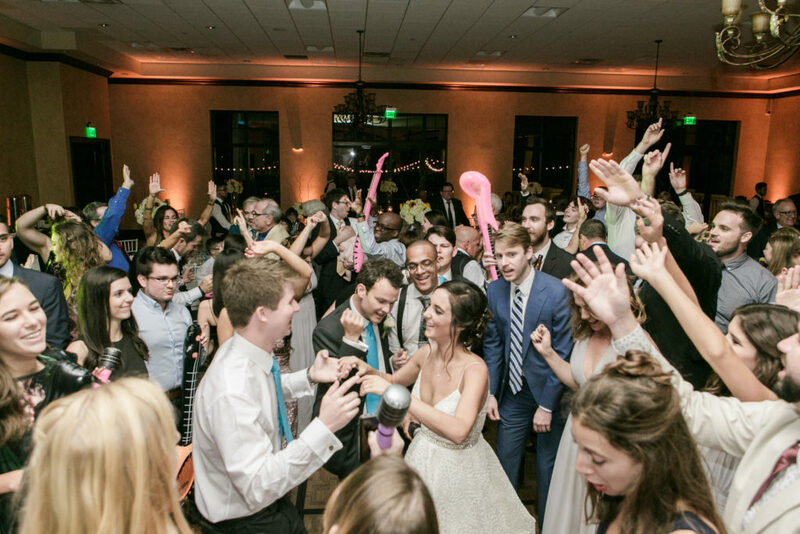 Always a favorite moment….when the confetti falls and no one was expecting it. 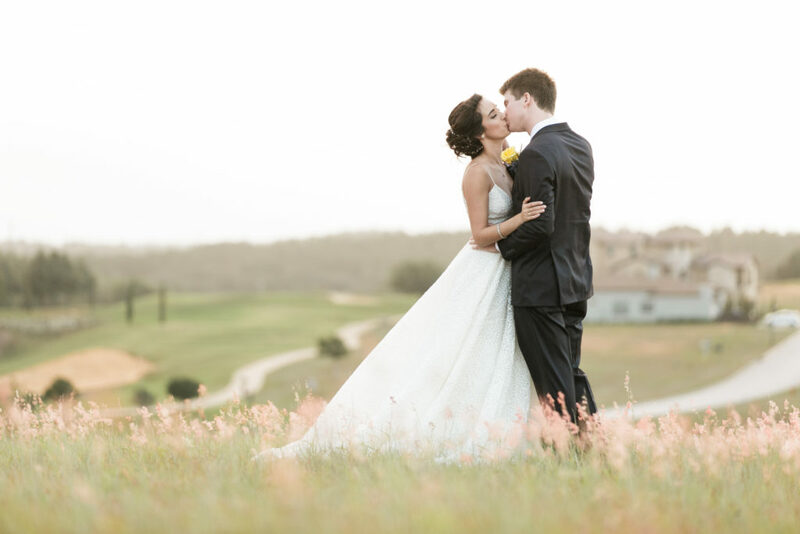 This loving couple decided on the Ritz Carlton Grande Lakes as the perfect location for their romantic and elegant fairytale wedding. It was nothing but a magical experience in an absolutely gorgeous venue. And can we talk about attention to detail? This couple made sure no details were overlooked. 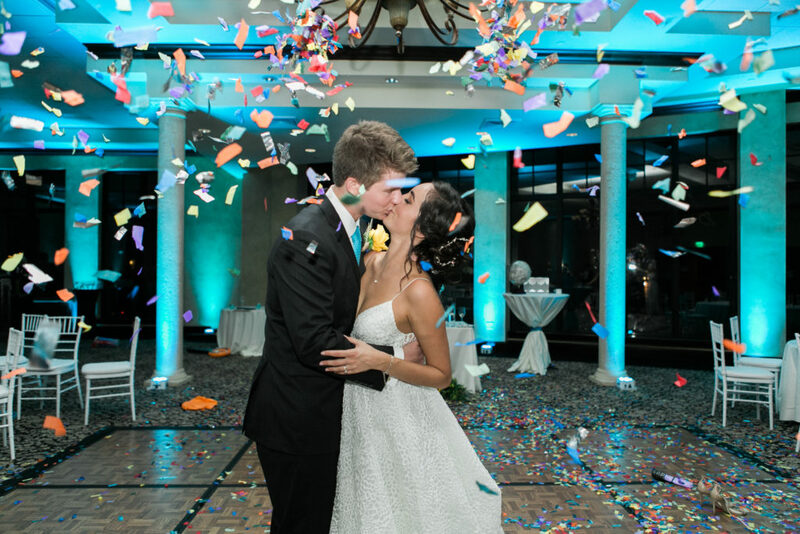 From the lanterns hung within the indoor trees, the beautiful lighted backdrop in the ballroom and a fun confetti cannon! We can’t even begin to describe how much we enjoyed working with Laura and Kevin on their special day, we had so much fun! We wish them all the best in the future! 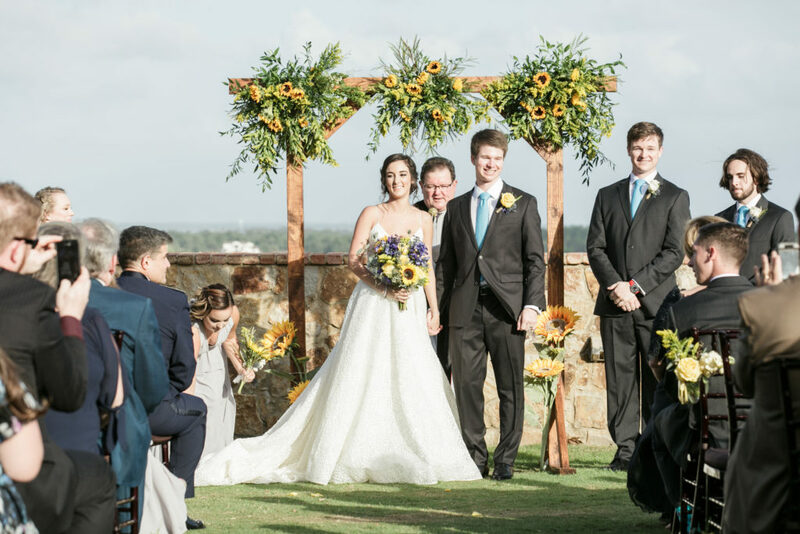 We were thrilled to be a part of Renata & Ernandes wedding at Bella Collina on February 18th, 2017. Congratulations you two thank you for letting us be a part of your special day! What a beautiful touches of glamour & romance. The details are everything! 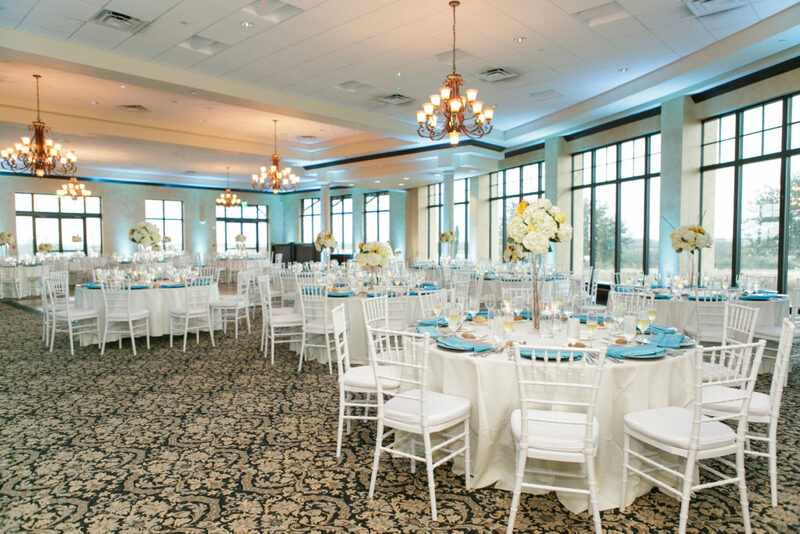 Once you arrive to Bella Collina, you instantly notice the Italian flair! It really feels like you have taken a trip to Tuscany. Stunning ceremony space, the floral décor from Raining Roses is simply beautiful! 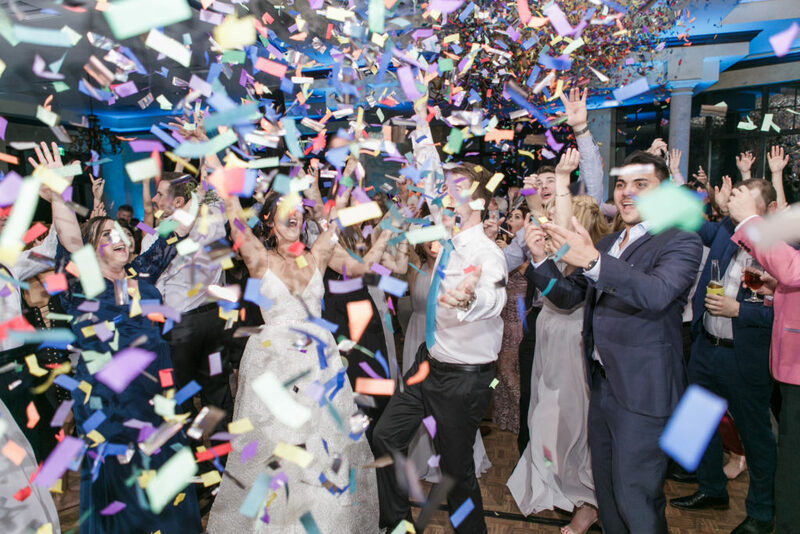 Bring the celebration to life with Fyerfly Productions confetti cannon – Doesn’t it make for a really fun photograph! 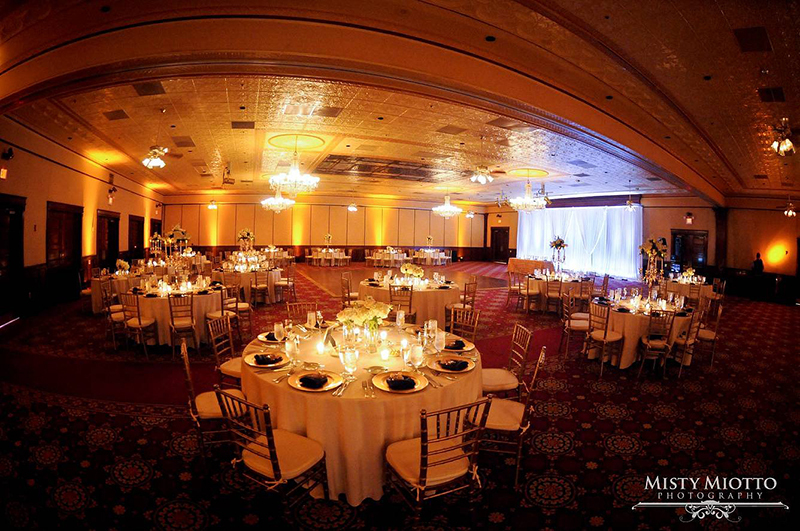 We were honored to provide DJ, Lighting and Drape for this amazing wedding.